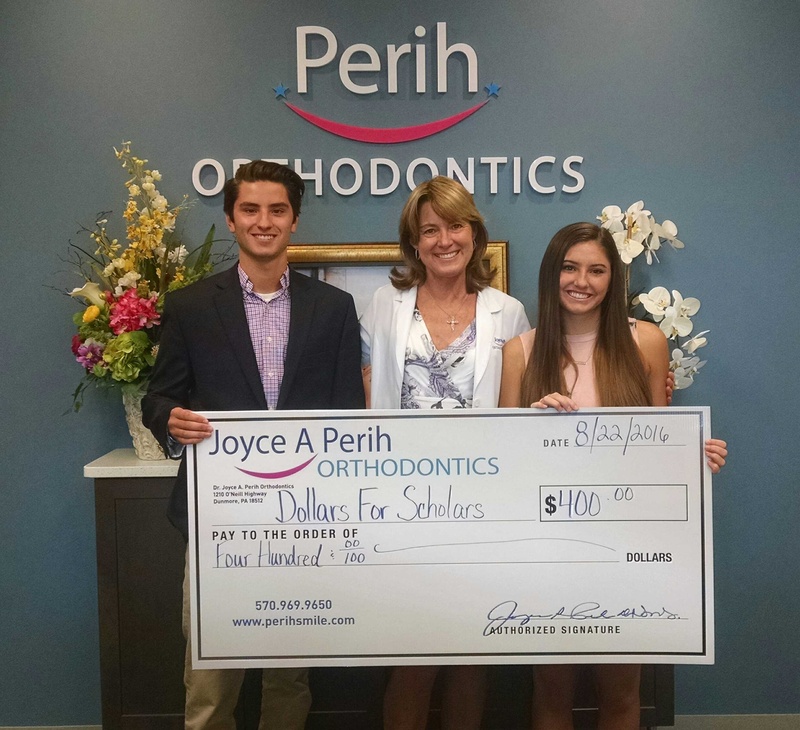 Each year Dr. Joyce Perih gives scholarship money to graduating seniors with Perih smiles! Seniors that have been patients at the practice are asked to submit their senior pictures. One girl and one boy are picked at random to each receive $200.00 to use toward college expenses. Pictured with Dr. Perih are Matthew Zero and Shannon McDonough, the recipients for 2016! Matt and Shannon were also awarded “Best Smile” for the Class of 2016 at their graduating schools!